What is North East Trailer Sailors? 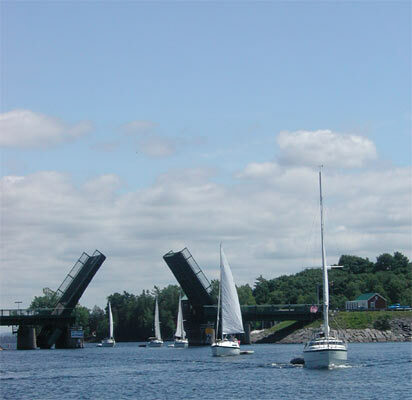 We are an association of trailer sailors organized to foster sailing skills and fellowship among members. The group own trailerable sailboats and like to travel to various locations to sail. The boats are small trailerable cruising boats. Through mutual assistance we gain knowledge and competence. North East Trailer Sailors provides an environment where new friendships are made that last both on and off the water. Who can become a member of North East Trailer Sailors? All trailerable sailors are welcome. You do not need to own a boat to be a member! When and how does the group meet? Throughout the season (May-September) we will have many sailing rendezvous scheduled in a wide variety of locations. During the off season, we meet once a month (on a Saturday or Sunday) for lunch a short meeting and possibly a speaker. Both meetings and rendezvous provide many opportunities to exchange information and discuss boat modifications. The primary communication tool is the internet. The web site is www.ne-ts.com. The site will contain informative articles submitted by the membership. Some of the topics covered include sailing tips, boat modifications, galley recipes, the schedule, cruising articles and boating experiences. There will be links to other sailing sites.